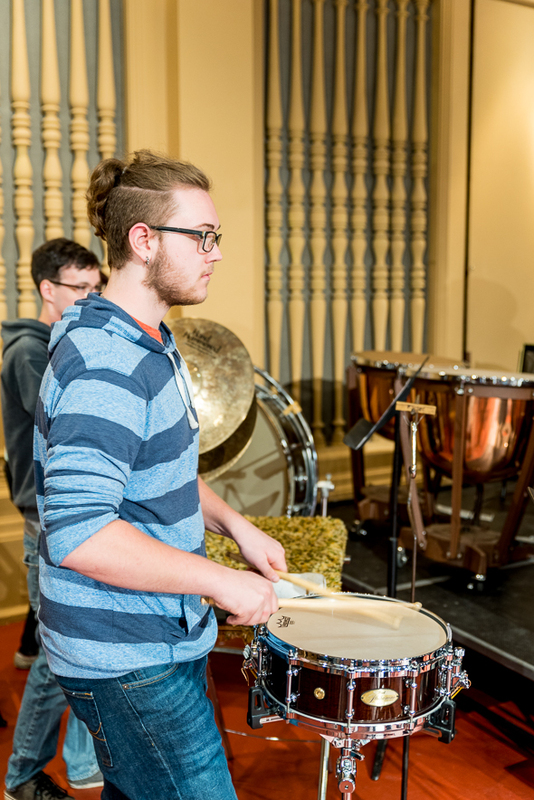 Duquesne's percussion program is designed to assist each student in developing critical performing and teaching skills in the variety of percussion instruments. Instructional programs, taught by a faculty that includes two members of the Pittsburgh Symphony Orchestra, include applied studies in orchestral and commercial styles, as well as the development of pedagogical skills. Facilities available to students include teaching studios and practice rooms devoted exclusively to percussion. The school houses an unusually extensive inventory of percussion equipment, including a set of Clevelander Dresden model timpani, Yamaha timpani, four concert grand marimbas, two xylophones, two sets of orchestra bells, Wuhan gongs, and a wide variety of other instruments.